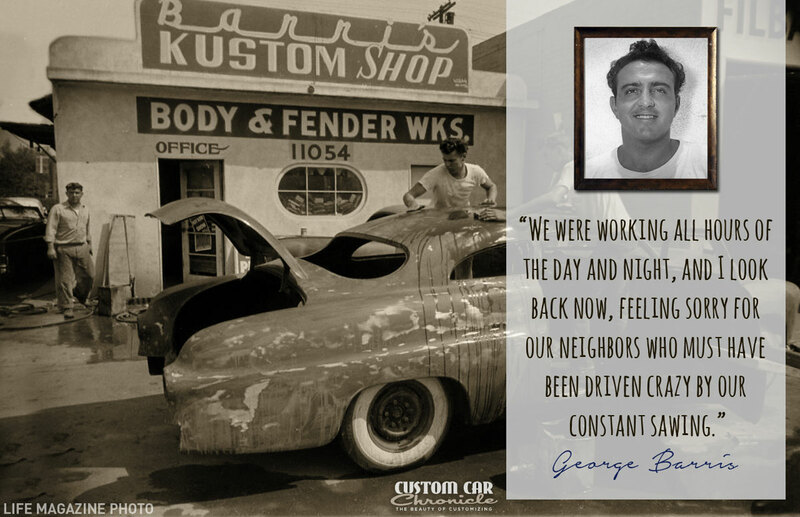 Kustom Car legend George Barris has had a huge impact on the world of Customizing in many ways. One of them was with the huge amount of magazine articles that influenced many. I have collected a few of his important quotes of the early 1950s. In the last few weeks, after George barris has passed away I have read a lot of early Custom Car publications in my spare time. 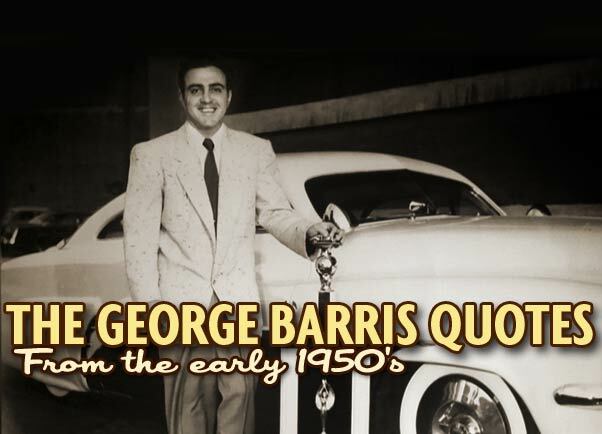 Obviously I already knew how much impact George Barris had on the Custom Car world of the past and today. 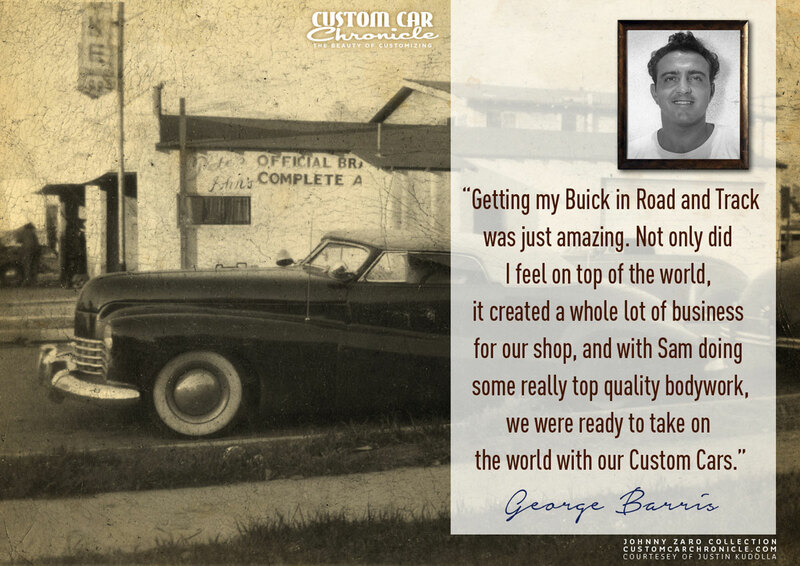 But when you start to really look into it, see all the cars that were build at the Barris Kustom Shop, and see all the magazine articles and book productions he has produced. You start to wonder how all this could have been done by one person. Thanks for the article Rik. . Thank you for this. CCC takes us back to the roots of a truly unique artform, sculpted upon a well-grounded chassis of real principles of styling and the flow of design in its early execution. 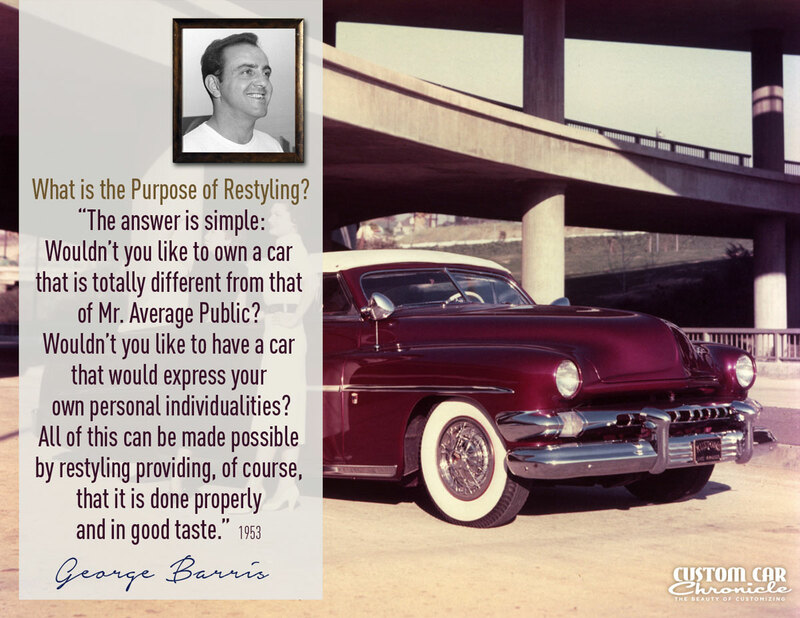 These George Barris quotes serve as the precepts from which a movement rolled out across the happy days of our American Graffiti life. Gorgeous forms in deep organic hues graced the main streets of the land. But as they rolled on, somehow a “more’s better” mentality took these energies beyond. Beyond that styling and front-to-back integrated design. Beyond the good sense and basics that these well-chosen words now bring us back to. We are with you, Rik. He really did have a knack for promoting the hobby and knowing exactly the way the trends would evolve. I do prefer his earliest stuff, but more and more I can understand how it all evolved and how George led the pack. 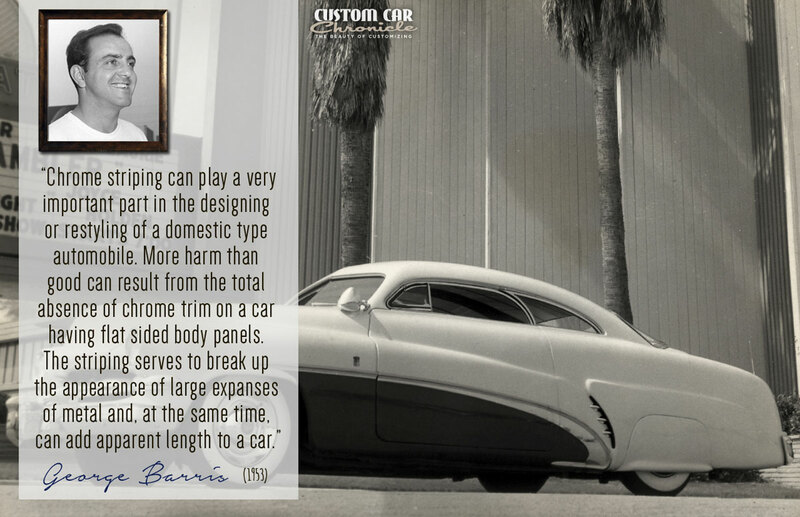 One can only wonder how many conversations took place of all the car built and worked on by the Barris Bros. How many times they taped different trim to car and stood back and looked at it. How many times they all gathered and talked about what they should do and how to approach every obstacle. I wonder how many time they disagreed on what would look good and what would work. Just so much history that you could be spent in our life time just trying to go back and as Rik has done. Truly only a passionate person would bother to do such a thing, Archeology of a different kind no one has ever done before. Here we are counting on Rik and his team to bring us back the past, What is really happening is history right now of a different era. 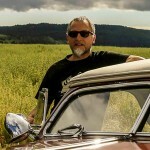 A new chapter in Kustom car era. 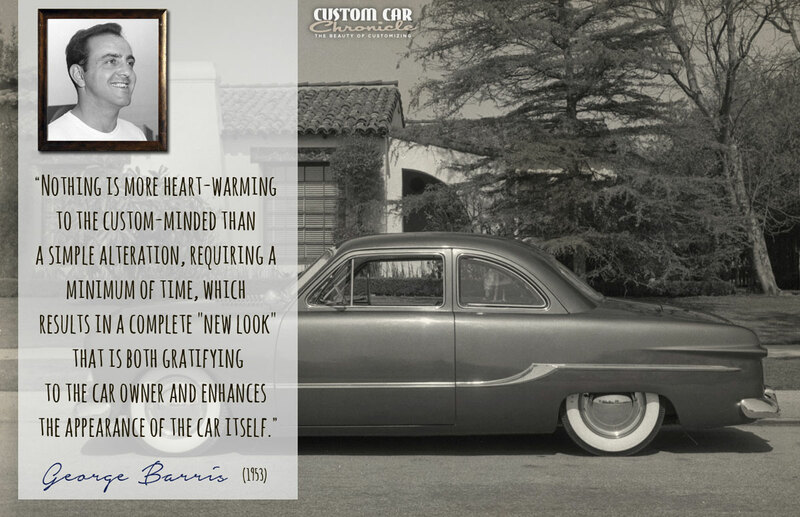 Tho the door is slowly closing on us as we loose people like Barris. 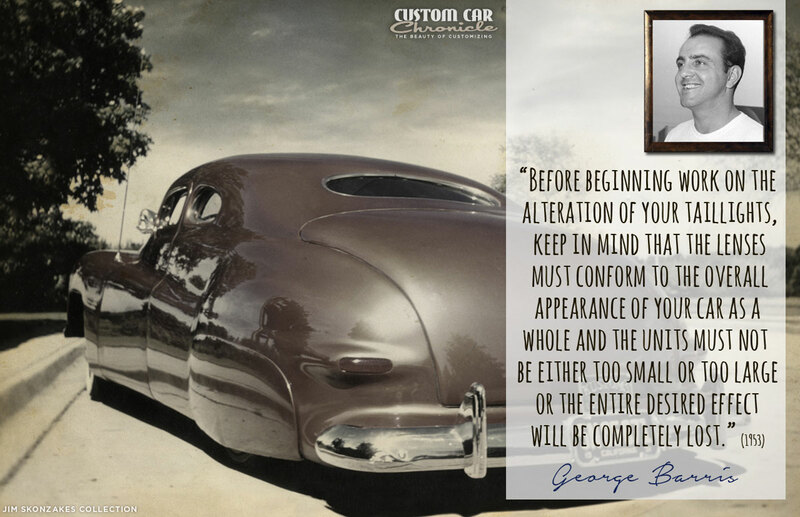 A new era of Kustom car building will take us on a new path, so when we look back on this moment of 30 November 2015 …. In time this will seem long ago.